By blindly accepting Bush's expansion of state secrets claims, the courts are allowing the executive branch to operate above the law, putting the core principles of our democracy at risk. The Justice Department has finally taken decisive action in the mounting legal challenges to the President Bush’s domestic spying program. But there’s only one problem: It has acted to defend illegal spying, not stop it. 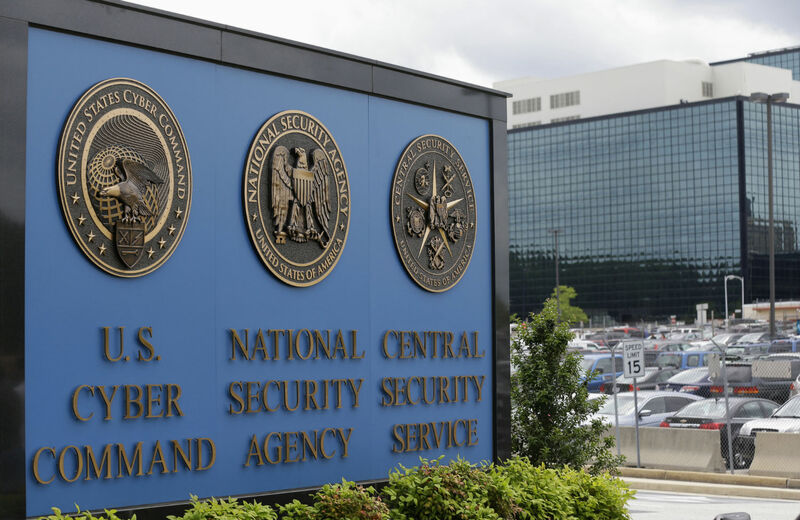 On June 15, the Justice Department filed a lawsuit to block the New Jersey Attorney General from demanding that telephone companies answer whether they have broken the law by providing records to the National Security Agency (NSA). On behalf of the Bush Administration, government attorneys argued that New Jersey cannot investigate whether the phone companies broke the law, because this could compromise national security. Government attorneys used the same argument in May to demand a federal court drop a case challenging warrantless domestic wiretapping–without even hearing the evidence. They declared that the court case itself would compromise national security. The Bush Administration demanded the judge throw out the case without any more review. How are these unilateral demands even possible in American courts? In both instances, the administration is using a sweeping doctrine, the State Secrets Privilege, to dismiss cases that could challenge government misconduct. Under this privilege, established by the Supreme Court in 1953, the executive branch can halt cases that might expose government secrets. When the administration invokes state secrets, even judges are not allowed to assess the information and decide if the claim is valid. Instead, the Justice Department simply declares that continuing the case, even in a closed setting, would jeopardize national security. After that, a judge is simply supposed to throw the case out of court. So instead of the court checking the executive and keeping it within its constitutional boundaries, the President becomes the only informed judge of his conduct. The case that the administration tried to preempt with state secrets last month is CCR v Bush, which I helped file with the Center for Constitutional Rights on behalf of Americans who were targeted for warrantless electronic spying. But the case does not currently include any major secrets. In fact, the evidence cited in our briefs is not from secret government documents, but from the public record. (For example, the briefs quote public statements by President Bush and then-NSA Chief Michael V. Hayden). So it is hard to accept the Bush Administration’s assertion that discussing this public information in court would expose government secrets. This case is important because it is one of the last resorts to challenging domestic surveillance. The suit challenges illegal surveillance of attorneys’ conversations and e-mails, which violates federal law, the Constitution and due process. If the administration can spy on Americans without warrants and judicial review, there will be no check to prevent the Executive Branch from spying on anyone it chooses, including political opponents challenging its power, journalists scrutinizing its actions, or attorneys challenging its conduct. The principles at stake in these controversies cut to the heart of American democracy and human decency: Can the federal government spy on you forever with no oversight? Can the police imprison you for no reason without any judicial recourse or oversight? Can the military secretly send people abroad for torture? Can the President hide mistakes that compromise our security by unilaterally shutting down any court challenge that might expose facts about government misconduct, abuse or negligence? There are many disturbing examples of President Bush shutting down the cases that raise these questions. The administration has also tried to silence government whistleblowers with the privilege. An FBI translator was fired in 2002 after complaining about problems in her unit, and her suit for “retaliatory termination” was shut down by state secrets. But the woman, Sibel Edmonds, was a recently hired translator with a low security clearance, so she could not have known any national security secrets. According to newspaper accounts, the issues revolved around FEMA-style incompetence, not classified information. She told her superiors that the administration assigned underqualified translators to conduct interviews with detainees in Guantánamo, and that there was evidence of espionage and corruption within the program. Did the administration misuse the privilege simply to hide those mistakes? That is a question the court refused to even consider. These cases all have one thing in common: The administration can use state secrets to avoid challenges to its conduct, undermine judicial oversight and ultimately threaten American democracy as we know it. In the end, the Bush Administration’s quest for unchecked, unilateral executive power is no secret. Nor are the illegalities of this administration–from torture to warrantless electronic surveillance. If the courts continue to blindly accept the administration’s unprecedented expansion of state secrets claims, the Executive Branch will operate above the law and can continue to act with impunity–a dangerous precedent for any country calling itself a democracy.